Eleven Sports is set to deliver FC Bayern Munich v TSG 1899 Hoffenheim, the opening fixture from this season’s Bundesliga, exclusively live on its Facebook page in Poland. The Facebook Live stream will begin at 7:30pm CEST on August 24th with pre-match studio analysis. Fans will then able to watch the game for free with local commentary provided by Patryk Mirosławski and Tomasz Ćwiąkała from the Allianz Arena. 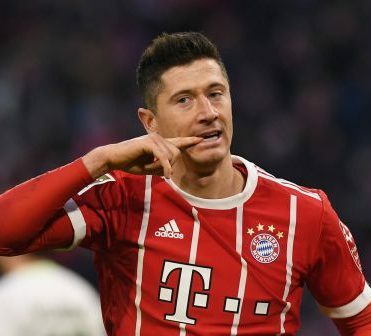 The clash, which will also be screened on Eleven Sports 1, will allow Polish fans to see local hero Robert Lewandowski in action as the German champions take on last season’s third placed team in Niko Kovač’s first match in charge. The upcoming live streaming of the Bundesliga on Eleven Sports’ Polish Facebook page follows other Eleven Sports markets who have live streamed action on Facebook such as the PGA Championship in the UK, Ligue 1 in Poland, Bundesliga in Belgium, and Singapore National Soccer in Singapore.